Transformational development requires that new practices and skills are quickly replicated, and so DRASTIC believes in training indigenous people in both the technical and business skills necessary for the success of communications based enterprises. DRASTIC has worked with the Global VSAT Forum (GVF) on the development of courses to teach both technical and business skills. Our training will qualify for their industry recognized certification. We are working with academic institutions to be able to extend the range and depth of qualification we can offer, and to extend the recognition of qualifications. 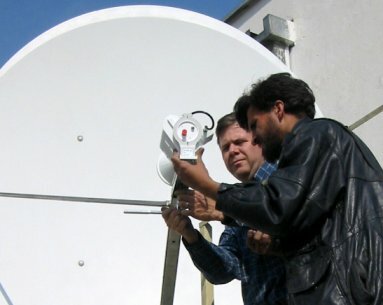 VSAT system design, installation and maintenance. Wireless network system design, installation and maintenance.